The National Commissioner has directed the province to implement the 72-Hour Activation Plan be mobilised to track down the escaped suspects. WARNING: Graphic images. 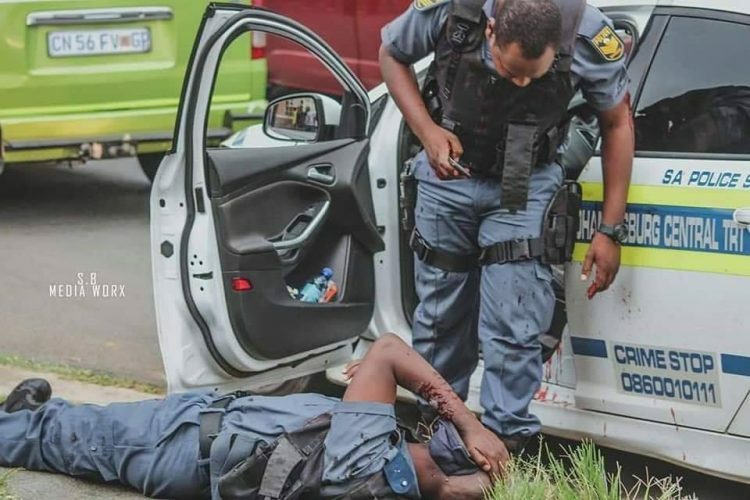 The National Commissioner of the South African Police Service, General Khehla John Sitole, has conveyed his good wishes to two Johannesburg Central Tactical Response Team members who were injured during a shootout with suspected robbers in Langlaagte, Johannesburg, on Thursday. The members spotted a suspected vehicle which was circulated as having been used in a robbery and gave chase, reports Westside-Eldos. 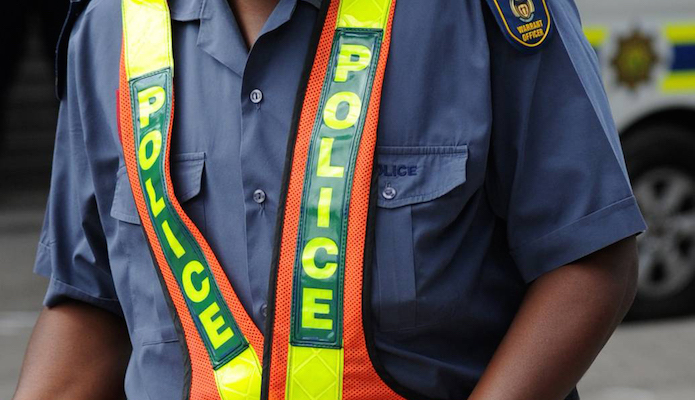 While approaching the corner of Main Reef and Vogt streets, the suspects began shooting at the police vehicle, and a shootout ensued. One of the members sustained a gunshot wound to his shoulder and injured his hands. The second member was injured on the head by flying glasses from the shattered windscreen. The two were taken to hospital for medical attention, where they are reported to be in a stable condition. The third member was unscathed. The suspects managed to get away but the National Commissioner has directed the province to implement the 72-Hour Activation Plan be mobilised to track down the suspects. The National Commissioner has also commended the members for their bravery in that they put their lives in danger pursuing armed and dangerous suspects. He has also wished them a speedy recovery.